Distributing your music to popular streaming platforms may not get you many streams unless you’ve already got a large fan base. That’s where playlists come in. 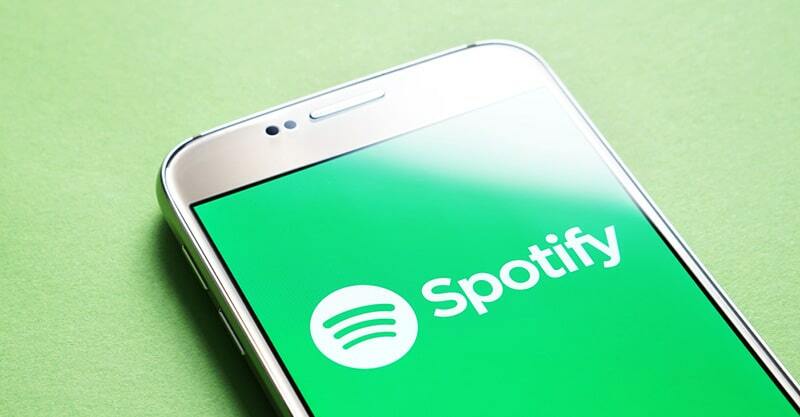 By getting your song featured on a popular Spotify playlist, you can instantly boost your play count and start earning a greater income from streaming. But this is easier said than done. On Spotify, there are essentially three categories of playlists: Spotify playlists, major label playlists and independent playlists. Generally, the only way to get on a playlist with a huge following is to work your way up the chain. 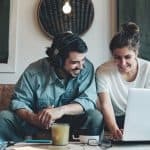 In most cases, you must start with independent playlists and gain some traction there before you can expect to be featured in more popular playlists. So, don’t expect this to be easy work. You’re going to need to put some serious marketing muscle behind this if you’re serious about getting on Spotify playlists. Now, here are several steps you can take to increase your chances of getting on more playlists. It’s natural for artists to be more focused on promoting their latest release than their previous releases. And, promoting your new music can bring attention to your entire catalog. So, overall, this is not a bad strategy. But I find artists also tend to hold themselves back. They’ve got plenty of music on their hard drives just waiting to be heard by the world. But they don’t release it because it’s not perfect, or it’s a little different from the music they usually make. If you’re serious about getting more plays on Spotify and getting onto playlists, you should put more effort into growing your catalog. I’ve discovered plenty of great music on Spotify and have added it to my personal playlists. And, most of the time, I’m not even trying to find new music to listen to! Still, I have my “Addicted” playlist on high rotation in the office most days, and it’s to the point where I’m sure there are some artists who appreciate the number of times I’ve streamed their music. 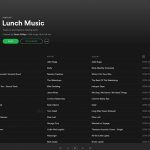 Spotify is a decent music discovery platform, and you just never know when an influencer or playlist curator might come across your music and want to add it to one of their playlists. You’ll increase your chances of being discovered if you have more quality music out there as opposed to less. New releases show that you’re active, so you should always have a steady stream of new releases. And, if you keep the momentum going, every new release should naturally be better than your previous releases. No, I’m not saying this is just a numbers game. There are some drawbacks to emphasizing quantity over quality. You could end up with a lot of music that’s ultimately unusable and doesn’t help you gain traction as an artist. But overall, you can stack the deck in your favor by releasing more music. “This point has nothing to do with getting on Spotify playlists, and neither does the last”, you may say. Many curators (and reviewers – more on that later) will be looking at your online presence to determine whether you’re the right fit for their playlist. Sure, some creators may choose to include your music just because they like it, but there are many others that won’t without precedent. If you were a curator of a popular playlist, would you prefer to feature music that would help you grow your following, or would you just select music haphazardly? More than likely, you would put together a process for finding music that’s right for your playlist. You may even have a list of criteria to adhere to. There are a lot of curators out there that wouldn’t bother featuring your music unless they saw that you had a bit of a following (and not just on Spotify). It might seem unfair, but it’s true. So, you should have your online presence figured out before you approach curators. Update your website (build one if you haven’t already). Post something new to all your social channels. Put out a new single. Keep repeating these actions. And, if your following is a little small, try paid advertising. You can grow your following relatively quickly using ads. Claim your profile if you haven’t already. The process is straightforward, and it will get your account verified. Doing this also gives you access to analytics. You can learn a lot about your audience just by analyzing this data – where your streams are coming from, their age range and gender, other artists they’re listening to, what countries your listeners are from and so on. This data can prove immensely valuable for your marketing efforts in general. Once your profile is claimed, you can also get notifications when your music is added to playlists, which is helpful. Technically, this also falls under “getting your online presence in order” but there are a few more things worth mentioning here. 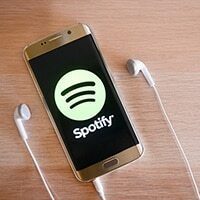 Before your music is even considered for a playlist, there’s a good chance you’ll need to grow your Spotify following. First and foremost, get your fans to follow you and listen to your music on Spotify. One of the reasons this is important is because playlist curators generally look at things like total number of plays, finishes, skips, listen duration and so on to determine which songs to feature in their playlists. It’s much easier for curators to say “yes” to your music if people are already listening to and enjoying it. So, add a link to Spotify on your website. Share links on your social media platforms. Send out email campaigns encouraging your fans to listen to your music on Spotify. Put a Spotify icon on your business cards and posters. This is perhaps one of the most important steps you can take as an independent artist. 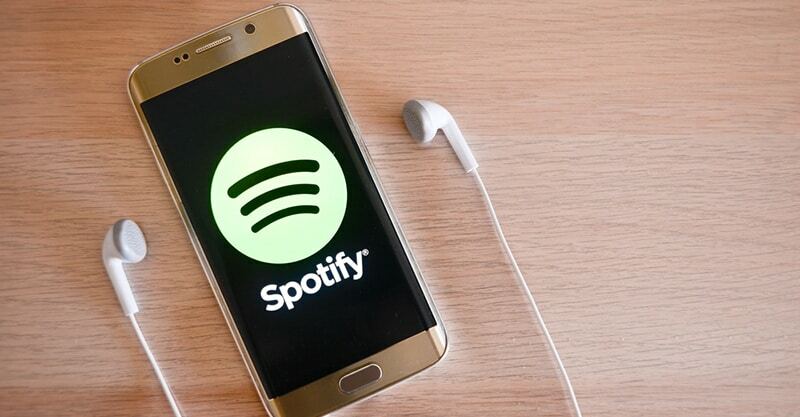 Getting onto a Spotify or major label playlist will certainly increase your notoriety in a hurry but getting to that point can be an uphill slog, especially if you don’t have a bit of traction with an independent playlist already. Now here’s a bit of advice you shouldn’t overlook – do your research. I’m serious. You may know that I have a site called The Music Entrepreneur HQ. Nothing irritates me more than people who come to me pitching guest posts on a topic that has nothing to do with music entrepreneurship. Likewise, playlist curators are going to ignore or blacklist those who come to them pitching music they would never add to their playlist in a million years. If you’re a metal artist, don’t submit to a country playlist. If you’re a jazz artist, don’t submit your music to a pop playlist. Developing a relationship is key here. And you will find that many independent curators have linked their Facebook accounts, making them relatively easy to get in touch with. As you can imagine, these people get tons of requests already. Don’t add to the noise in their inbox. Be genuine. Be real. Try to see things from their perspective. Additionally, it may be worthwhile to listen to their playlists and suggest a couple of songs that aren’t your own to add. 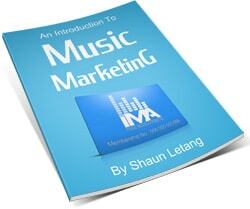 This could help you build rapport and increase the chances of getting your music featured. Find music review blogs on Hype Machine that review your style of music. Approach these blogs with your music and see if you can get it reviewed. Increased awareness of your music. More awareness can lead to more streams and ultimately more fans. More credibility for your music. More buzz can increase your chances of getting on a playlist. The opportunity to be added to playlists. There are plenty of music bloggers out there with playlists, and if they like your music, they may add it. Don’t leave it all to chance! Be willing to adopt an entrepreneurial mindset and start creating your own playlists (with your music included, of course). No, you might not see a ton of traction from doing this. But what if you got your fans, friends and family doing the same? If you got enough people moving in the same direction, you’d be able to boost your streams guaranteed. 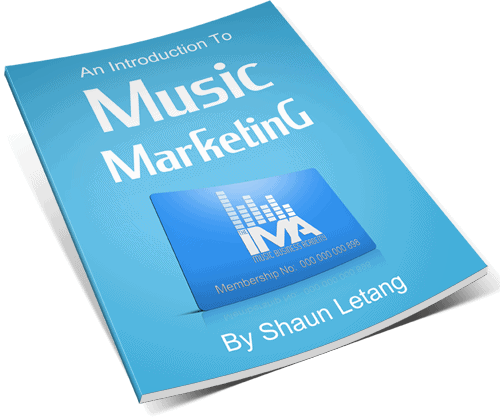 The focus of this guide is to show you how to get on playlists – not how to earn a ton of streaming revenue. A natural byproduct of getting featured in playlists is seeing your play count increase, mind you. So, this is a way you can easily get on Spotify playlists. Make your own and get people you know to do the same. If you want to take it a step further, talk to local businesses and see if they have their own playlist. If not, set one up for them. Ask if you can include your music in it. Another thing you can do is collaborate with other artists in the same genre or local artists and create a playlist together. The more people are involved, the more people will be invested in the success of the playlist. I haven’t heard good or bad things about playlist pitching and marketing services. Most people still seem to be in the experimental phase with these types of tools (some artists have been happy with the results). That’s why I say you should experiment with them. These are services that will pitch your music to prospective playlists on your behalf – companies like Playlist Pump, Playlist Push and others. The cost for this type of promotion can vary, so you might want to do some looking around and determine which are within your budget. You’re probably going to be doing a lot of the legwork when it comes to getting your music on playlists, so it can’t hurt to have others working on your behalf to achieve this end. Let’s say you’ve just put together a playlist with local artists. That will be a bit of an undertaking already. But if no one promotes or shares the playlist, it’s mostly pointless. It will just be you and other artists listening to the playlist, and even that’s a bit dubious if there’s no momentum behind it. Now, if you just landed a placement on a major playlist, it’s not like they need the extra help in getting it out to the world. But a couple of mentions here and there nevertheless demonstrate your support and interest. This will be appreciated by curators. Ultimately, it doesn’t matter what kind of playlist it is. If you manage to secure a place on it, you should put some marketing muscle behind it. See things from the perspective of the playlist curator. If they give an artist a chance and they show no appreciation for the placement, how likely is the curator to work with them again? Plus, would a curator consider you a serious musician in an instance like that? Promoting a playlist could mean more streams for you, so this is a win-win. Build a long-term relationship with curators and maximize your streaming revenue. 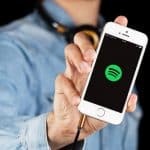 If it seems like you aren’t gaining any traction with Spotify, there’s one important thing to keep in mind – streaming sites are somewhat genre specific. For example, as a metal band, you might have a tough time boosting your play count on Spotify, even if you put your best foot forward. 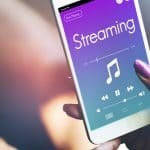 It can be challenging to get your fans to adopt a specific streaming platform. So, your best strategy is to go to your fans instead of having them come to you. 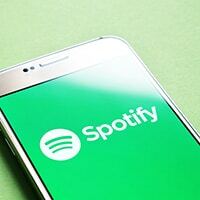 If Spotify just isn’t working out, then it’s time to go elsewhere. Try asking and surveying your fans to find out where they’re streaming your music. Try doubling down on whatever platform you identify as being the most used among your fans.